Against some of the UK’s leading logistic companies, the RLC has been awarded Company of the Year 2015 at the Women in Logistics UK awards. 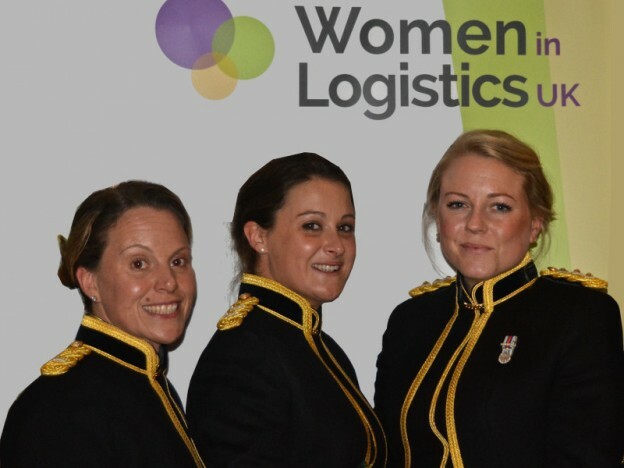 The award, which has previously been won by Coca Cola, Royal Mail and DHL was given in recognition of the Corps commitment and innovation in attracting, developing and retaining women. Bob Hughes, CEO of the Forton Group, said â€œWe see what you do as being genuinely at the cutting edge of logistics because of the intense pressure, public scrutiny and the need to be innovative and creative in turbulent times. This is an area where it’s so obvious that women naturally can add valueâ€. There was more success for the Corps with one of their young officers, Lt Charlotte Edwards, winning â€œRising star of the Year 2015â€ against a field of over 100 nominations including DB Scheker Rail’s youngest ever UK manager (at 19), Emma Ross who improved productivity for Tesco and Chloe Longstaff from TNT. Charlotte impressed the judges for â€œher high performance and a remarkable contribution to operations in Sierra Leone and her leadership on exercise in Polandâ€¦ being very much a role model for other womenâ€. Corps Colonel, Darren Corrie MBE ADC said â€œOur Corps is an organisation that puts women on an absolutely equal footing, be it career progression, deployments, pay or command opportunities. We seek to fulfil every serving soldier or officer’s aspiration â€“ male or female â€“ and this award is recognition of our continuing efforts in this areaâ€. Command Sergeant Major Meek said â€œI’m proud to serve in a Corps that has so many talented men and women. Ensuring our men and women are treated equally is something we’ve been doing for yearsâ€.